A very special Van Gogh drawings and paintings exhibit at the MFAH will be held from March 10 thru June 27. 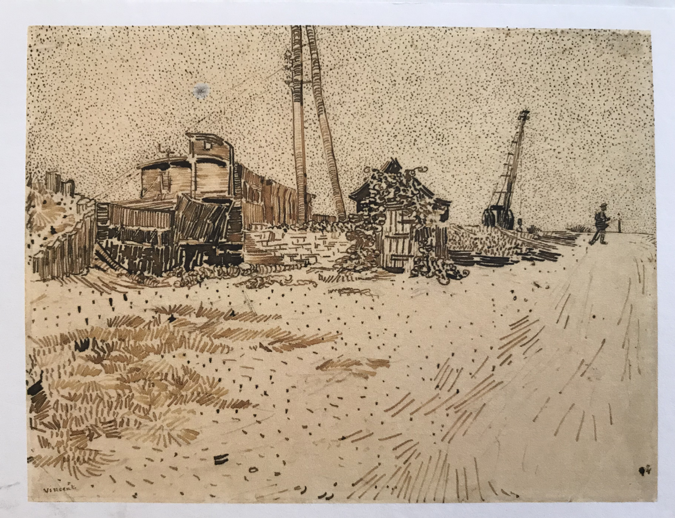 In conjunction with this exhibit, Caroline Graham will help us learn how Van Gogh‘s pen and ink drawing style led to the development of his technique of brushwork in his larger works. Using your landscape photos - develop ink drawings and washes using blue, brown and black inks, and white gouache on various toned papers. Note: A supply fee of $15 will be charged to all attendees and included in your registration (gold and silver members will be charged $15). Caroline will provide various toned papers for the class to use to make 4-5 drawings. Bring a sack lunch, sweater or light jacket (in case the room temp is cool), We’ll have snacks and coffee!